The latest paradigm shift in government, termed Transformational Government, puts the citizen in the centre of attention. Including citizens in the design of online one-stop portals can help governmental organisations to become more customer focussed. This study describes the initial efforts of an Australian state government to develop an information architecture to structure the content of their future one-stop portal. Hereby, card sorting exercises have been conducted and analysed, utilising contemporary approaches found in academic and non-scientific literature. This paper describes the findings of the card sorting exercises in this particular case and discusses the suitability of the applied approaches in general. These are distinguished into non-statistical, statistical, and hybrid approaches. Thus, on the one hand, this paper contributes to academia by describing the application of different card sorting approaches and discussing their strengths and weaknesses. 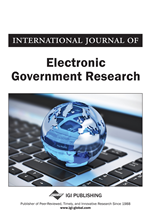 On the other hand, this paper contributes to practice by explaining the approach that has been taken by the authors’ research partner in order to develop a customer-focussed governmental one-stop portal. Thus, they provide decision support for practitioners with regard to different analysis methods that can be used to complement recent approaches in Transformational Government. When public administrations first approached the Internet they emphasized standardisation, departmentalisation, and operational cost-efficiency – labelled by Ho (2002) as the traditional bureaucratic paradigm. Websites mirrored the internal structure of the administrative bodies, which in turn led to inconsistencies and redundancies making it hard for citizens to find the services they require. To overcome these shortcomings of traditional online service delivery, governments investigate the use of online one-stop portals (OSPs). A user-friendly structure of OSPs can be achieved through the bundling of services from the citizens’ perspective. The bundling of online services in the public sector can, for example, correspond to typical life events, such as ‘Buying a house’ or ‘Getting married’(Gouscos et al., 2002). Alternatively, public services have been bundled according to topics or demographics (Kernaghan & Berardi, 2001). Such bundles can also be mapped to ‘franchises’, which are the central units of interest for the recent paradigm shift in government, termed ‘Transformational Government’ (OASIS, 2012). In particular, franchises depict collaborative organisations that focus on specific customer segments of government services, such as motorists or parents. The guiding principle for their development is to “[b]uild services around customer needs, not organisational structure” (OASIS, 2012, p. 13). This principle requires governments to re-think and re-design their service delivery on all levels of the organisation. An OSP, structured along service bundles, can be regarded as a citizen-centric front door to these franchises. The idea of developing an integrated government OSP comes with challenges, though. A large body of information and services needs to be made accessible to citizens in a structure that they would expect (Fincher & Tenenberg, 2005) and, accordingly, an appropriate information architecture (IA) needs to be designed. “The design of meaningful, useful, flexible and coherent taxonomies and ontologies is one of the main goals of the information architecture, to provide to the users an effective way to find what they are seeking” (Bussolon, 2009, p. 6). Proactive end-user involvement prior to portal launch has also been reported within government, but the current situation has been described “far from optimal.” (Detlor et al., 2010, p. 131) In many cases, citizens are consulted too late or remain unheard when it comes to website design and governance (Detlor et al., 2010). Card sorting is a user-centric approach that is frequently applied to the design of IAs for websites. It offers the opportunity to focus on the target group’s (e.g., citizens’) terminology rather than that of experts (Fincher & Tenenberg, 2005). The use of card sorting has also already been reported for involving end-users in the design of government web sites (Detlor et al., 2010; Olmsted-Hawala, 2008). Both the administration of a card sorting exercise and the subjects’ participation is considered comperatively simple since it does not place special cognitive burdens on participants (Fincher & Tenenberg, 2005). Moreover, it can help to elicit semi-tacit knowledge which the subject might be unable to articulate otherwise (Fincher & Tenenberg, 2005). However, the subsequent analysis of card sorting data represents a considerable challenge as different methods can be used that, for instance, require more or less statistical knowledge (Fincher & Tenenberg, 2005). The problem is even worse for the field of government web site design. Although card sorting has been considered useful and has been applied by governments, there is a lack of literature on how to actually make sense of card sorting data in this particular domain.